Deborah works in the field of psychology and has been writing poetry since her mid-teens. 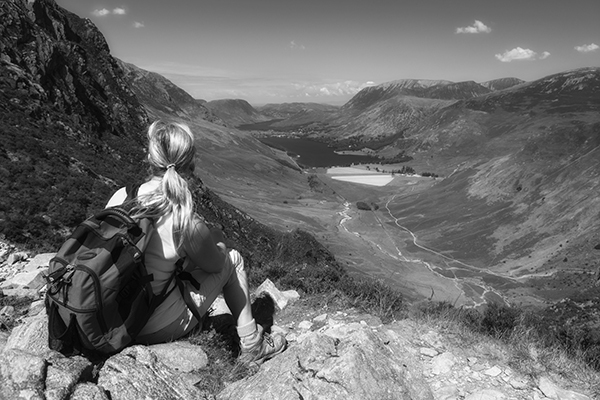 A nature lover who enjoys rambling all over the beautiful English countryside. 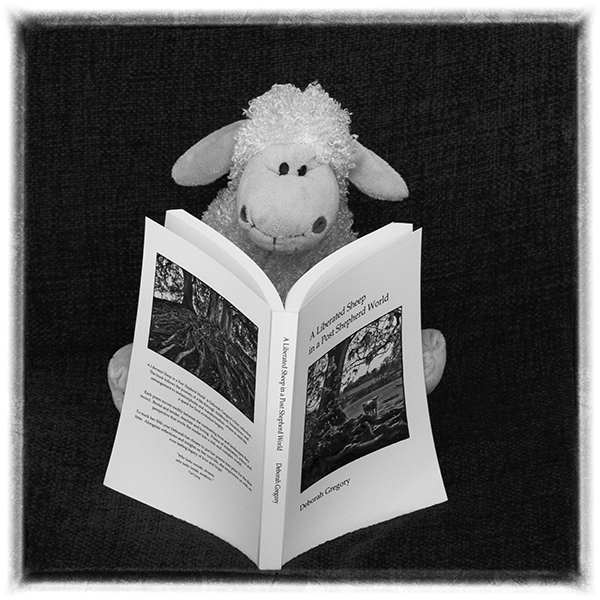 A Liberated Sheep in a Post Shepherd World (2015) was her first poetry collection. At present Deborah is writing her second poetry book, “The Shepherd’s Daughter” (2020) alongside writing “Poetry of the Year” (2019) a collection of monthly nature poems. Please note all works on this website “The Liberated Sheep” are © Copyright and the intellectual property of Deborah Gregory. Do not share or use content from this website, in part or entirety, without giving full credit to the original work. For more information on her first collection please read: Journey of Love: How I Wrote My First Poetry Book. Deborah, I feel profound gratitude for the work you are doing. I have shared your Animus Diet essays on FB so others may discover your journey – I hope this is ok? “Amor Fati” What a beautiful avatar, I love its meaning! Thank you so much for sharing my Animus adventures (the beginning of a very long journey!) and for your encouraging words. I’m hoping to publish them all, with further insights and adventures, in the next year or so. Warm and wild blessings, Deborah. Deborah has written her poems with bare boned honesty. I fell in to her footsteps and was moved by her words as she recounts her very own life journey. Deeply personal, incredibly brave. Her words touched me, I felt so much that she was sat beside me as I turned the pages of her life. I am amazed that this book has not been taken up by a major publisher. Wow! Thank you so much Anja for your positively, glowing review! You’ve certainly lifted my spirits today and please know I’m thrilled that you’re enjoying my poetry book. Writing and (self) publishing my first collection has been life-changing! What’s more, I really enjoyed your recent comment (re: The Poet’s Wife) so many thanks for heaping more wonderful praise on my work. If perchance you’re also interested in Carl Jung and Post-Jungian thought you’ll find a few of my essays in the “Jungian Archives” category, including my four part “Animus Diet” and other Jungian themed work. Warm autumnal wishes, Deborah. Highly recommended! ‘A Liberated Sheep in a Post Shepherd World’ is a book I keep next to my bed. Deborah Gregory’s spiritual and sensual poems lead me through her unfolding life from girlhood to maturity and help me reflect on my own life path. She writes about childhood trauma with an unflinching, compassionate eye. She shares the joy and disappointments of motherhood and the challenges of love and loss. She writes about soul, spirit, trust, and betrayal. She writes about courage, forgiveness, redemption, love, and the passionate physical life. She makes me believe in second and third chances. As I soak in the rich symbolic imagery of these poems, Gregory’s search for inner meaning opens deeper layers of reflection and meaning in me. Thank you so much Elaine for your truly awe-inspiring review of my poetry book! I am deeply humbled and honoured to receive your glowing admiration, for I hold you as a writer in such high regard, therefore your words mean a great deal to me. Your kindness and compassion ring out like a clear, bright bell. It is wonderful to hear that you keep my book close by and that it’s helping you with your reflections on life. The book for me has followed my own profound metamorphosis and it is wonderful to hear that it’s helping others on their journey too. Thank you for believing in me! With love and gratitude, Deborah. You take us on a journey with each poem. Thank you. No fast food doggerel from your pen. There’s years of fine dining here, a feast of unfurling as we follow the trail of your tasty words. The Hungry Fox, somewhere in a hedgerow near you. Deborah, I found you on twitter and have been following your tarot poems ever since. I just wanted to say hi and let you know I love your work, immensely. Keep up with the beautiful poetry! Meghann W.
Hi Meghann, Wow! You’ve literally made my day!! That’s so lovely of you, thank you so much for your encouraging words and a huge welcome to my poetry blog. I’ll look out for you in the land of the little blue bird. Sending warm, early spring wishes to you, Deborah. I read this cover to cover. Poetry at its finest – raw, passionate and full of truth. In a class all its own, Anna. Thank you for your wonderful New Year message Anna and patience re Blurb! I’m thrilled that you enjoyed the book, it’s more than any poet could ever ask for. Blessings, Deborah. your book arrived yesterday. i have not been able to put it down. for poetry lovers and for those on the edge of loving poetry this collection has something for everyone. raw incandescent and full of heart gregory is an old soul with neoteric vision. her poems are lighting up my days and darkening my nights. this is the most brave and honest book i have ever read. Thank you so much Suzie for your big-hearted review, and such wonderful praise. I’m truly humbled. I’m assuming that you’re an e. e. cummings fan with your lower case letters. I’m so pleased you enjoyed my ‘how to self-publish’ article. I was totally amazed, that for the price of a book, writing dreams could be realised. I did come across a thread on Blurb re uploading books to sell on Amazon, will take another look for sure! Thinking about uploading poems to Sound Cloud. Bright spring wishes, Deborah. Wow, in hardly any words at all you’ve totally made my day Benjamin! It’s wonderful to meet yet another poetical alchemist here in the blogosphere. Thank you so much for your kind-hearted generosity, and for buying my book. Bright spring wishes, Deborah. This is not the kind of poetry book that anyone can read lightly or indeed quickly. It is in every real sense the journal of a soul. Gregory’s voice is unique. She does not fit into any writing tradition with any degree of comfort. Your heart will rise and your heart will fall. I urge the reader not to skip even one page. I stand in admiration at her courage and deep humanity. Patricia J Lockwood. Thank you so much Patricia, I’m honoured by your words and sensed the deep humanity behind them. I love what you wrote about my book being ‘the journal of a soul’ as these words fit like a dream into what I hope my poetry book offers. Welcome to my website, where you’ll find many published poems, including new work. Warm greetings, Deborah. A Liberated Sheep in a Post Shepherd World – read it, loved it and devoured it all over again! This book is filled with beautiful and heart-breaking poems. Reading it, I felt empowered, euphoric and cathartically heart-broken by turns. Definitely a poetry collection to be read by poets everywhere, particularly those who have ever struggled to overcome the pain of childhood abuse. It’s very rare I write a review, but I have been so moved by this book I felt I had too. Food for the soul. Amazing. Each poem really touched my life and helped me on a personal level deal with things that are sometimes hard to talk about. I found it healing and therapeutic. This book surpassed my expectations – with 270 pages Deborah Gregory feeds us well. It is beautiful, tragic and understated. I am truly humbled by your generosity and touched beyond words. Thank you so much Harper for sharing your wonderful review, and for taking the time to let me know how my book has helped you on your journey. Breaking the silence on childhood suffering is often a long, rich, deep journey of discovery, recovery and love. Thank you for seizing the day, and making mine! Love and gratitude, Deborah. Deborah Gregory is an awesome writer. I purchased a hardback copy of her poetry book and wasn’t disappointed. I will treasure this book ad infinitum with its exquisite use of language, and heroic description of triumph over a difficult upbringing. This book is nothing short of brilliant. Thank you so much Julie for your glowing praise and wonderful review. That really means a lot! It’s simply wonderful to meet another ‘poetical alchemist’ on life’s open road. A warm welcome to my poetry blog. I hope you enjoy! Greetings, Deborah. I stumbled across Deborah’s heart-pounding words when I needed them most. After many weeks of immersing myself in her poems, I decided to go ahead and purchase the book. A Liberated Sheep in a Post Shepherd World is something different compared to other books. It’s a must read for anyone on the inner journey home. Very well presented, brave and honest writing. A wonderful debut collection I can’t praise enough. Thank you so much Picasso for your wonderful book review, truly appreciated. I’m so pleased that my poems spoke to you when needed, it’s more than any poet could wish for! I have a feeling we’ve met online before, so thank you greatly for making the trip over to let me know. January is my month for poetry. Time to pull up a chair, light a fire and sit quietly with friends, old and new. Happy reading dear poet, many thanks once more. To be honest I don’t know what to say other than I’m utterly speechless!!! I’ve read a lot of poetry and this is definitely the best collection I’ve read in a long time. I value the chronological order of the poems. I’m buying this book again to take to a friend when I visit for Christmas. I think my dad would love this book with its classic 60’s childhood, dark imagery, violence and unexpected love. A modern-day mythic tale, refreshingly honest and perfectly clear. Wow! That’s just wonderful Lily, thank you so much for your amazing review! I’m truly delighted that you’re enjoying my poetry book. I appreciate that some of my poems, especially the earlier ones, are hard-hitting and at times harrowing to read. In the beginning I wrote this book of poems just for myself and for my loved ones yet after self-publishing, the book seems to have taken on a life of its own. I’m overjoyed at your encouraging response. Warm winter blessings to you, Deborah. Very moving. Usually I have difficulty with poetry but not with this collection. Extraordinary poems by a very brave lady. Brilliant and moving, though never self-pitying. Poetry that made me laugh, cry, pray, and hope yet incandescent with passion for life. Truth, acceptance and hope. An outstanding collection. Am writing in tears, thank you so much Lizzie! I’m speechless … I’m a poet with no words just a full and bursting heart. Love and blessings, much gratitude, Deborah. “A Liberated Sheep in a Post Shepherd World” was definitely worth adding to my poetry collection. It’s a great book of poems that everyone should read. It’s about life and what happens to us. Since the book’s message was inspiring I bought another copy for my teenage daughter because it holds a lot of life lessons in it. I recommend this book to anyone who is looking for healing of their soul. The poems are powerful and insightful. Deborah Gregory is to be congratulated for providing us with a heart warming guide for advancing our souls. Thank you so much James for your wonderful review. I’m totally thrilled that you’ve decided to find space on your shelves for my poetry book. What an amazing honour, many thanks dear poet! I sincerely hope that your daughter enjoys the poems too, some as you know, are not easy to read. I love what you wrote about my poetry holding a ‘lot of life lessons’ I haven’t stop smiling! What a terrific compliment you’ve presented me, that’s so kind-hearted and generous of you! Warm greetings, Deborah. Your book is “amazing” for many, many reasons, and here I’ll mention just a few. Firstly, on an extremely practical level, it’s a total privilege to be able to read the poetry you’ve written over the years from when you were an adolescent until now, especially as it describes a very personal and deeply challenging journey, which is where the second “amazing” comes in. I’m blown away by the strength you’ve found to come out of the black tunnel of your exceedingly difficult childhood – your poetry being a constant companion and one that took you by the hand through the worst of it, it seems. In the words of your poem Mother-Wound: “My poetry I am told – Comes out of this wound – This gaping hole – In the centre of my life.” You’re an inspiration to anybody who’s living through a difficult life situation (emotional or physical violence, abuse, neglect, etc.) You show us that change “is” possible – no matter how tight the chains or how deep the wounds. Your early poems speak of such pain and turmoil that they touched me very deeply – some left me speechless, unable and unwilling to simply carry on my day, out of respect for the experiences I had witnessed through the magic of your poet’s pen. I also wished I could hug young Deborah and give her the warmth and love she deserved. Using a wonderful array of imagery and reference points – including nature, goddesses and more abstract conceptualisations – your poems trace your path from this very dark beginning to a glorious rebirth – both in terms of your spirituality and the healing of the mother/child wound. “Free at last and at liberty to feast alfresco at the banquet of love” (Love in the Caves). My plan is to dip back into your book and read the poems in a more random fashion. On this first read, I wanted to follow the order systematically as I felt it was important for me to follow your journey and the evolution of your ideas and language. Finally, I refer to the resonance I feel with many of your thoughts. For example, when you say: “..it is futile of me to pretend I know where I am going” (The Way of the Poet) and “Those who live close to the soul more willingly than to the tribe, touch the magick of their being, one foot is rested in each world for the mystic to find her way” (The Soul is My Mother). Thank you for lighting the way and encouraging others to do the same. A thousand blessings to you my dear friend and a thousand more! If you could see young Deborah now, she’s smiling, dancing, her face all aglow. Thank you so much! Namaste. Absolutely Amazing Read! I am not normally a poetry reader, however, this book appealed to me, and I am so glad I purchased it. I cannot praise this book enough. Deborah Gregory has clearly put a lot of effort in the poems. They are very moving. I highly recommended it. Thank you so much Carmen for your really great comment! I’m thrilled that you’re enjoying my poetry book. Although painting is not my usual creative expression, over the years I have collected several books on the subject … often I sit with them, pen and notebook in hand, until inspiration and the flow of words begin. On rare occasions I even pick up my brushes! My poem ‘Night Cafe’ is an example of one of those moments. I’m so pleased that you’ve decided to give poetry a go! Blessings, Deborah. Thanks Deborah! I just ordered a copy of your book for my boyfriend. Wow! I’m literally over the moon … you’ve only just gone and made today ‘Wonderful Wednesday!’ Thank you so much Carmen, truly appreciated. Just a thought, do look out at Blurb for offers as three weeks ago a friend bought my book with a 50% discount code that Blurb were promoting that weekend. I’m truly delighted that you are enjoying the book Claire! 🙂 Thank you so much for your amazing gift of words! Wow, really … I’m truly humbled, in fact, I’m totally at a loss for words though my heart feels like it’s exploding with happiness. Oh my goddess! A thousand blessings to you dear poet for your kind-hearted and generous companionship on this poetic journeying of Soul. Hi Deborah, I just wanted to let you know that I treated myself to your poetry book and it arrived yesterday. I have to say it really is very professional looking and I’m amazed by the amount of your work that you’ve included. Reading your poetry and your life from 15 to 50 was quite incredible and definitely a page turner – I can see how your writing style has evolved over the years and how you yourself have grown with it. This is a wonderful, moving document of a life lived thus far…I would be so proud of being able to produce a book of this standard and depth. Congratulations – I love it! This is a book to be read and re-read many times. Thank you so much Sophia for your great feedback on my book. It’s so kind of you to leave this comment … wow, I’m over the ‘super full, lunar eclipse, autumnal equinox’ moon with happiness! Talk about poetry in motion, tonight’s night-sky is going to be one of pure poetry and twinkling lights. I had no idea what the finished result would look like until my copy arrived last week, I’m so impressed … it’s just what I was hoping for. The ages fifteen to fifty felt right for me as I wanted to experience myself (age-ing to sage-ing … hopefully!) with each page and chapter turn. Oh my goddess you’ve made this poet so happy … thank you once again! Done with your unparalleled grace and style. I have a virtual bottle of (expensive) Champaign to launch this new voyage into poetic and uncommon seas. Bon Voyage, dear poet and away we go! Oh I’m soooo excited that you’re here Steve, I’m whooping for joy! Here’s to love and peace and freedom and virtual bubbles on my new poetry adventure. Away we go!